. And yes, this software can be really called universal because: - it supports a large number of formats including AutoCAD DWG/DXF, SVG, EMF, PLT, STEP, IGES, STL, CGM, etc. - it enables to view, edit, convert, measure, print, etc. I'm not going to write about all features, only about things I use in my daily work. The name of this converter speaks for itself – it is online, it is free, and it converts PDF to DWG that is one of the main CAD formats supported by the overwhelming majority of products. On the converter page you should select a PDF file (all versions of PDF are supported), enter your email, click the Convert button and wait for a letter with a link to the converted file. As a rule it comes within several minutes. Nothing difficult, right? There are many PDF to DWG or DXF converters. To find the best one is really problematic, especially because every one has it's own benefits, and everybody prefers something else. In this short review, I would like to introduce you a well-known PDF to DWG/DXF conevret known as AutoDWG PDF to DWG converter. I point not to the list of features, but to the practical facts, what could be usefull to know, before you install the trial version and test this converter for your needs. The converter provides the conversion of the vector objects, the conversion of the raster objects, and thanks included OCR optical character recognition system it enables also texts conversion. All of this sounds really great, but what you can expect from this converter in a reality? I will unhide it to you in this review. Use pdf2bricscad to transform vector PDF files into editable CAD drawings and save hours of redraw time. Within moments of selecting an appropriate PDF file, an accurate and editable drawing will open within BricsCAD. pdf2bricscad is ideal for converting computer-generated CAD drawings, floor-plans, network diagrams and organization charts. It extracts editable CAD entities, objects and text from any computer-generated PDF file while images from scanned PDF files are placed on a non-editable tracing layer. PDFin is not designed to operate on scanned drawings (raster PDF). PDF FLY™ for Windows supports all of the most popular commercial Linux platforms including Red Hat, Debian, Ubuntu and more. Use it to convert PDF, PostScript and EPS via command-line into the most used vector and image formats including PDF, WMF, EMF, SVG, EPS, DWG, DXF, PNG, GIF, JPEG and TIFF. pdf2cad is a specialized tool to convert PDF files to DWG, DXF and HPGL files, that can be used in most of the CAD systems such as AutoCAD, ZWCAD, Microstation, and others. pdf2cad is ideal for converting CAD drawings, floor-plans, network diagrams and organization charts. It extracts editable CAD entities, layers, objects and text from any computer-generated PDF file while images from scanned PDF files are placed on a non-editble tracing layer. This converter is to convert PDF into DWG and DXF, as well as vector and raster into vectorized editable drawing, the version of AutoCAD 2016~R14 is supported. Batch mode supported: convert hundreds of your files in one go. Retain arcs: Using Smart Object Recognition technology, arc in PDF retain its accuracy and clearness. Retain lines: It is a basic function, but others may not always keep its correctness of location, shape and thickness, we’ve been experienced dealing these problems. Retain Texts: Need to convert solids and hatches from PDF to DWG, or just to keep border lines of those entities? AutoDWG PDF to DWG converter is the choice! Raster to Vector: Having hand draw or scanned blueprint? No problem, this program is capable of vectorizing scanned raster images, and converting them to central lines or border lines. Any PDF to DWG Converter batch converts PDF to DWG and PDF to DXF format for fast and efficient editing in AutoCAD. 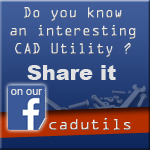 It allows you to easy convert PDF to DWG and PDF to DXF without the need of AutoCAD. With the free trial of the program, you may test it free of charge for 30-times. If you want to continue to use it after the trial period, you must register the program. The registration fee for Any PDF to DWG Converter as low as US $180. The registration fee includes lifetime technical support and lifetime free future upgrades.